Chelsea set to seal Kwadwo Asamoah deal Premier League side Chelsea are planning to offer £24million for Juventus midfielder Kwadwo Asamoah, according to Metro. Premier League side Chelsea are planning to offer £24million for Juventus midfielder Kwadwo Asamoah, according to Metro. 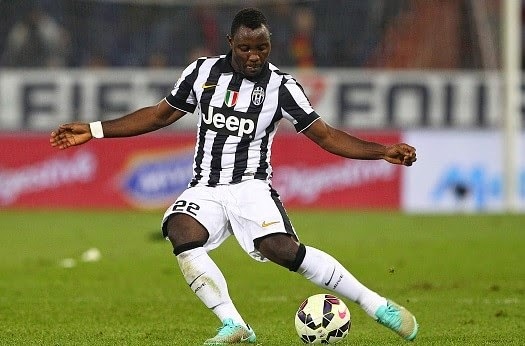 The Blues are looking to seal the deal for Juventus midfielder Kwadwo Asamoah next month. While reports are claiming that defending Premier League Champions Manchester City are also in the race to land the Ghana international. Ghanaian media has already reported that Asamoah is strongly targeted by Chelsea and Jose Mourinho is ready to splash £24million to land him in Janaury. The 26-year-old is a versatile player, he can play in the midfield as well as in defensive position. Asamoah joined Juventus after playing four seasons at Udinese in 2012. He has played six Serie A games this season only and could be preferring a move to Stamford Bridge. However, Chelsea don’t really need any new face in the coming window but boss Jose Mourinho will definitely eye to make his squad big and strong. Nemanja Matic and Cesc Fabregas are already occupying the midfield position and both have been in top form so far this term so he will not be getting a starting role at the London side but could be a vital player if he impresses in the future.